We are a dedicated team of creative individuals, working together to deliver multimedia solutions. We have strong design, development and technical teams who have produced a unique range of solutions and services, each created to help solve today’s media challenges. 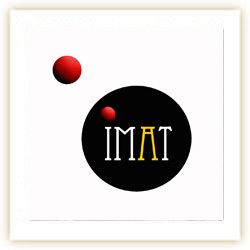 IMAT is Southern California’s premier multimedia design firm that delivers exceptional results. We offer a vast array of creative solutions to meet your business needs. Led by a talented team of committed and enthusiastic designers and developers, we strive to align your online image with your professional image. Our dedication to excellence separates us from the rest. We utilize the latest advancements in technology to customize every project to fit your multimedia needs. Our Creative team of multimedia professionals are highly trained. We will give your business the online recognition it deserves with a personalized Web site at an affordable cost. Our impressive portfolio and satisfied clients speak for themselves. We have a solid reputation for multimedia ingenuity that has produced amazing results. Our success is measured by the success of our clients. We strive to exceed your expectations by making sure your online vision is realized as quickly as possible.